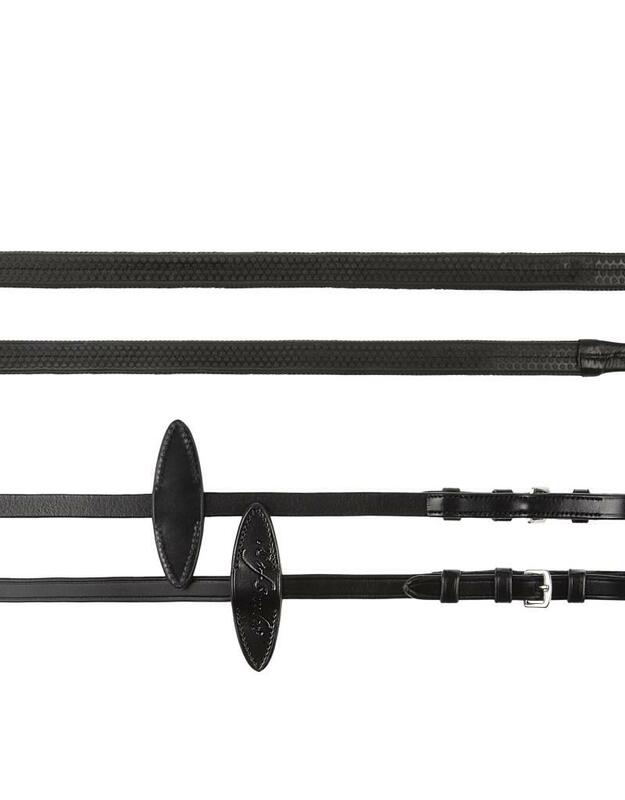 Rubber reins combined with top quality English leather for a secure and comfortable grip. The reins have PS '' s own patent pending elastic Cradle ™ in polyester to give the horse a softer contact between the mouth and the hand. If you prefer to use the reins without the elastic pieces, they are designed to be easily removed by simply loosening the cradle. The Martingale stoppers have the PS logo. Silver colored buckles.